Collecting Lego -- yes, the plastic toys made of interlocking bricks that become cars and castles and robots -- returned more than large stocks, bonds and gold in the three decades ending in 2015, says a study by Victoria Dobrynskaya, an assistant professor at Russia’s Higher School of Economics. Aspects of the performance even align with returns sought by owners of smart-beta ETFs. While the premise sounds goofy, it’s serious enough for the academy, especially in a world where intrepid investors will go practically anywhere for uncorrelated returns. 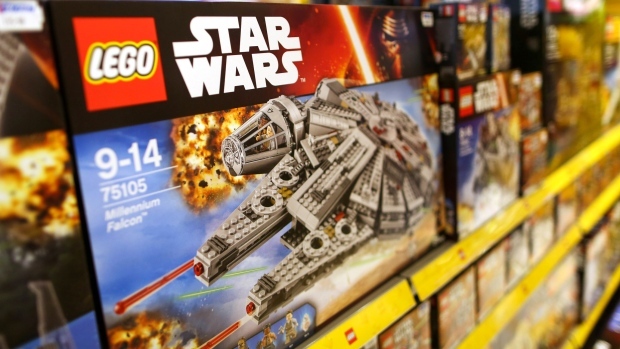 You might not know this, but older Lego sets are often resold online for many times their original price. In one extreme case, a kit for Star Wars Darth Revan that retailed in 2014 for US$3.99 went for US$28.46 on eBay a year later -- a 613 per cent premium. In a paper titled “Lego -- The Toy of Smart Investors,” Dobrynskaya analyzed 2,300 sets sold from 1987 to 2015 to measure their price-return over time. She found that collections used for Hogwarts Castles and Jedi star fighters beat U.S. large-cap stocks and bonds, yielding 11 percent a year. Smaller kits rose more than medium-sized ones, similar to the size effect in the Fama-French model (though the relation isn’t exact). Guess what? Not everyone loves the science. Trying to shoehorn Legos into model of factor returns strikes some people as a little silly and creates the potential for human judgment to distort findings. First among the hazards is the possibility that everything is explained by happenstance -- a criticism that looms over many factor models. The data showed that sets with a relatively few pieces, up to 113, returned 22 per cent per year, almost 16 percentage points more than the group with about 860 bricks in each. The relation wasn’t perfectly linear. Small sets yield the most, but those with 2,000 pieces do better than medium-sized ones. The large group contains less than 100 Lego sets compared with 1,600 in the small camp and can be potentially seen as an outlier, Dobrynskaya said. Lego sets that focus on Super Heroes, Batman and Indiana Jones are among the ones that do best over time. The Simpsons is the only Lego theme that has lost value, falling by 3.5 per cent on average. Newer sets have higher returns than older ones, though this can be due to a growing popularity of investments in Lego, Dobrynskaya said.